Are you facing the same dry spell in finding fandom merch in the city as we are? This store in Free School Street has pop-culture inspired everything from badges to bandanas, tees, figurines and even boxers to stock up on. The real nerds would probably know about Vibrations already, but if you don't, then this store can be your best bet replacement to the other fandom store, F-Bloc (which has seen a downward spiral in stocks). A teeny tiny story just opposite More in Free School Street, this is packed to its neck with fandom merchandise. A great place to hit up for music heads (especially rock and metal lovers), you'll find tees of AC/DC, Led Zeppelin, Iron Maiden, Pink Floyd, The Beatles, Porcupine Tree, and a whole lot more here. To get your nerd mode on high, there are bands and bandanas of these music bands, too! 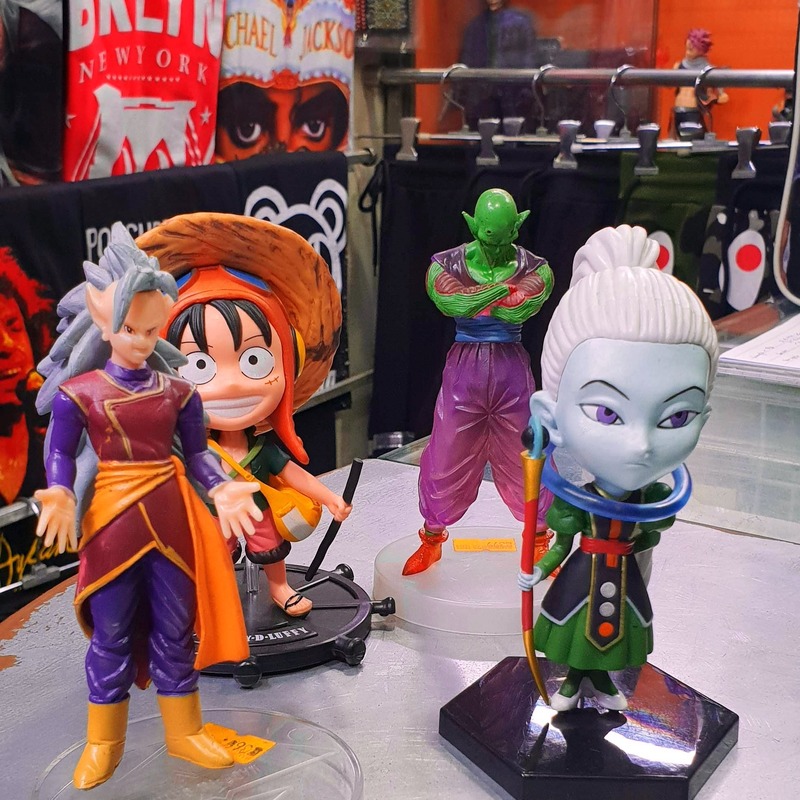 For the comic heads, they have amazing figurines to indulge in. Goku to Joker, Captain America and R2D2 - universes collide in this tiny store, for real! Video gamers, we found a few PUBG items too! You'll can also lay your hands on some cool Bengali comic and witty one-liner tees. We found a few Feluda and Byomkesh ones here. But what bowled us over completely were the awesome South Park boxers. South Park prints are rarely found in the city. And when we found one, we bagged a couple without further ado. A rarely known deet: Vibrations also stock up on old vinyls. From Schumann to Louis Armstrong, Ravi Shanker and Billy Joel - you'll find some real good ones here. The tees start at INR 400, boxers at INR 250 and bands at INR 150. The figurines are slightly more expensive and start at INR 800.